Gulf, arm of the Arabian Sea, south-western Asia, between the Arabian Peninsula on the southwest and Iran on the northeast. The gulf extends northwest about 965 km from the Strait of Hormuz to the Shatt al Arab, a river formed by the confluence of the Tigris and Euphrates rivers. 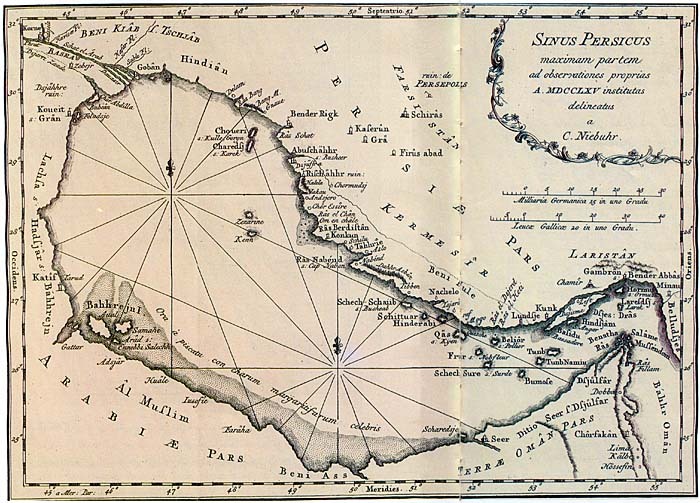 The gulf is connected to the Arabian Sea by the Strait of Hormuz and the Gulf of Oman. 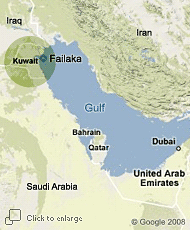 The Gulf varies in width from 47 to 370 km, the area is about 233,100 km2. The seafloor is very shallow, rarely deeper than 90 m, although depths exceeding 110 m are found near its outlet and at isolated localities in its south-eastern part. The deepest waters occur along the Iranian coast, while a broad shallow area, averaging less than 36 m deep, borders the Arabian coast. The United Arab Emirates, Saudi Arabia, Qatar, and Kuwait are on the south-western shore; Iraq is on the northern tip; and Iran is on the north-eastern shore. Cliffs are rare on the Arabian shore of the gulf, except around the base of the Qatar Peninsula and in the extreme southeast around the Strait of Hormuz, where they form the spectacular coast of the Musandam Peninsula. Most of the Arabian shore is bordered by sandy beaches, with many small islands enclosing small lagoons. The Iranian shore is mountainous, and there often are cliffs; elsewhere a narrow coastal plain with beaches, intertidal flats, and small estuaries borders the gulf. The coastal plain widens north of Bushehr (Bushire), Iran, and passes into the broad deltaic plain of the Tigris, Euphrates, and Karun rivers. The Gulf receives only small amounts of river-borne sediment except in the northwest, where immense quantities of silt are deposited by the Tigris, Euphrates, and Karun rivers and other smaller streams as they empty into the gulf. The rivers reach their peak flow in spring and early summer, when the snow melts in the mountains; disastrous floods sometimes result. There are some ephemeral streams on the Iranian coast south of Bushehr, but virtually no fresh water flows into the gulf on its Arabian side. Large quantities of fine dust and, in places, quartz sand, however, are blown into the sea by predominant northwest winds from the desert areas of the surrounding lands. Biological, biochemical, and chemical processes lead to the production of considerable calcium carbonate in the form of skeletal debris and fine mud, which mixes with this land-derived detritus. The deeper parts of the Gulf adjacent to the Iranian coast and the area around the Tigris-Euphrates delta are mainly floored with gray-green muds rich in calcium carbonate. The shallower areas to the southwest are covered with whitish grey or speckled skeletal sands and fine carbonate muds. Often the seafloor has been hardened and turned to rock by the deposition of calcium carbonate from the warm, salty waters. Chemical precipitation is abundant in the coastal waters, and sands and muds are produced that mix with the skeletal debris of the local sea life. These sediments are thrown up by the waves to form coastal islands that enclose lagoons. The high salinities and temperatures result in the precipitation of calcium sulphate and sodium chloride to form extensive coastal salt flats (sebkhas). The present-day Gulf, together with its north-western continuation now infilled by the deposits of the Mesopotamian rivers, is the remains of aonce much larger basin of deposition aligned northwest to southeast that existed throughout much of geologic history. In this basin thousands of feet of sediments accumulated – mostly limestone and marls (a mixture of calcareous and silicate mud), together with evaporates and organic matter – which ultimately produced the area's vast oil resources. The gulf has a notoriously unpleasant climate. Temperatures are high, though winters may be quite cool at the north-western extremities. The sparse rainfall occurs mainly as sharp downpours between November and April and is higher in the northeast. Humidity is high. The little cloud cover is more prevalent in winter than in summer. Thunderstorms and fog are rare, but dust storms and haze occur frequently in summer. The shamal, a wind that blows predominantly from a north-northwest direction during the summer, is seldom strong and rarely reaches gale force. Squalls and waterspouts are common in autumn, when winds sometimes reach speeds of 95 miles per hour within as short a time as five minutes. Intense heating of the land adjacent to the coasts leads to gentle offshore winds in the mornings and strong onshore winds in the afternoons and evenings. The small freshwater inflow into the gulf is mostly from the Tigris, Euphrates, and Karun rivers. Surface-water temperatures range from 24 to 32 ºC in the Strait of Hormuz from16 to 32 ºC in the extreme northwest. These high temperatures and a low influx of fresh water result in evaporation in excess of freshwater inflow; high salinities result, ranging from 37 to 38 parts per thousand in the entrance to 38 to 41 parts per thousand in the extreme northwest. Even greater salinities and temperatures are found in the waters of the lagoons on the Arabian shore. The tidal range varies from about 1.2 to 1.5 m around Qatar and increases to 3 to 3.3 m in the northwest and 2.7 to 3 m in the extreme southeast. When onshore winds are strong, the level of the coastal waters, particularly in the southern gulf, may rise by as much as 2.4 m, causing extensive flooding of the low sebkhas. Tidal currents are strong (8 km per hour) at the entrance of the gulf but elsewhere, except between islands or in estuaries and lagoon entrances, rarely exceed 1.6 – 3.2 km per hour. The wind affects local currents and sometimes reverses them. Waves rarely exceed 3 m in height and are largest in the southern gulf. The swell from the Indian Ocean affects only the water at the entrance of the gulf; when it is opposed by wind, turbulent conditions result. The general circulation pattern in the gulf is counter clockwise and is characterized by its vertical nature: as surface water enters from the Indian Ocean, it is subject to evaporation, thus becoming denser and sinking to flow out into the Indian Ocean beneath the inflowing water from the open ocean. The waters of the area support many plants and animals, but the high temperatures and salinities lead to a diminution in the variety of flora and fauna typical of the Indian Ocean. 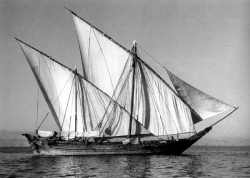 Until the discovery of oil in Iran in 1908, the Gulf area was important mainly for fishing, pearling, the building of dhows (lateen-rigged boats common in the region), sailcloth making, camel breeding, making of reed mats, date growing, and the production of other minor products, such as red ochre from the islands in the south. The arid lands surrounding the gulf produced little else and, except for the rich alluvial lands of the Mesopotamian plain, supported only a small population of those engaged in fishing, date growing, and nomadic herding. Fishing has become highly commercialized. The traditional pearl-fishing industry has declined since the introduction of the Japanese cultivated pearls in the 1930s. Large fishing industries have been set up in Kuwait, Qatar, and Bahrain, and some countries have become exporters of fish. Yields in the northwest have been affected, however, by the construction of large dams on the rivers, which restrict the supply of nutrients into the gulf. Since World War II the Gulf and the surrounding countries have come to account for a significant proportion of the world's oil production (approximately one-fourth). In addition, the area has approximately two-thirds of the world's estimated proven oil reserves and one-third of the world's estimated proven natural gas reserves. The region thus has acquired considerable strategic significance for the world's industrialized countries. Exploration has remained active, and new reserves are continually being discovered, both on land and offshore. Control of these reserves has led to numerous legal wrangles among states about exact territorial limits and has been at least partially responsible for two major conflicts in the region: the Iran-Iraq War (1980 – 1988) and the dispute between Iraq and the United Nations (1990 – 1991). Large amounts of oil are refined locally, but most is exported to northwestern Europe, East Asia, and other areas of the world. Petrochemical and other petroleum-based industries, as well as consumer industries, have been developing rapidly in the gulf region. 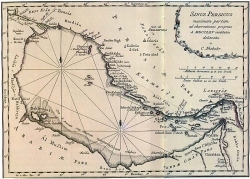 For centuries a considerable sea trade has been carried on by local craft between the Gulf and Africa and India; this has become completely dominated by an incessant traffic of large tankers that carry oil from the large marine terminals at Kuwait, Dhahran (Az-Zahran) Ad Dammam and Al Jubayl (Saudi Arabia), Mina’ Salman near Manama (Bahrain), Das Island (United Arab Emirates), Bushehr, Khark Island (Iran) and other locations to all parts of the world. The heavy traffic and the offshore oil installations have produced many hazards, despite the use of a system of radio-navigational stations and other technological advances. 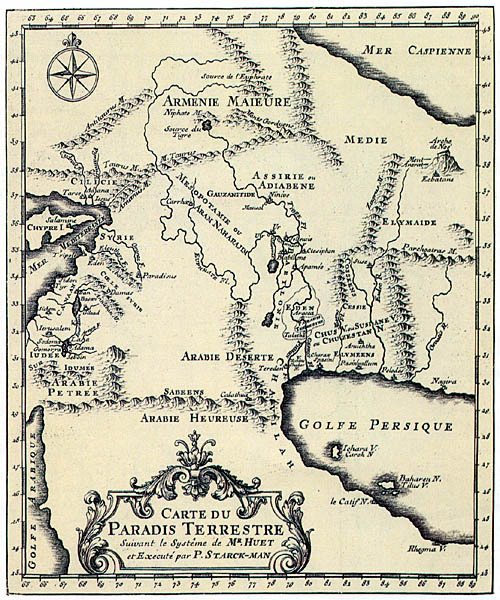 The Gulf area was well known by early local navigators and from the beginning of the 16th century by Portuguese, British, and Dutch traders. Useful bathymetric charts and sailing instructions appeared when the British commenced collection of hydrographic, meteorological, and oceanographic data at the end of the 18th century. 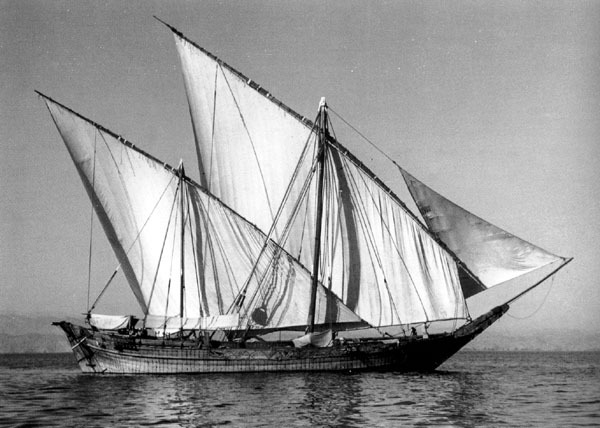 The Danish Fisheries Expedition conducted important marine biological studies beginning in the 1930s, and further fisheries studies were undertaken by the Japanese in the 1970s. 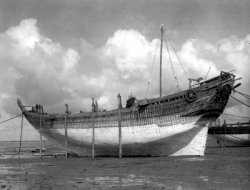 Studies of the oceanography, geology, and sedimentology of the seafloor were made in the 1950s and '60s by American and British scientists working from naval hydrographic vessels and by oil company research scientists; later this work was continued by German and American research expeditions, and some studies were made in the northern gulf by the Kuwait Institute of Scientific Research. Extensive investigations of the deeper geologic structure have been made by oil companies, but generally these have remained confidential. The economy of the Gulf region is dominated by petroleum production. The gulf and surrounding countries produce over one-fourth of the world's total petroleum and have almost two-thirds of the world's proven oil reserves. Large commercial-fishing industries have also developed on the gulf coasts in Kuwait, Qatar, and Bahrain, though these were temporarily crippled in the early 1990s after Iraq unleashed several massive oil spills from offshore Kuwaiti platforms in the course of the Gulf War (1991). Al-Hijji, Y. Y. 2001: The Art of Dhow-building in Kuwait. Centre for Research and Studies on Kuwait, Kuwait. 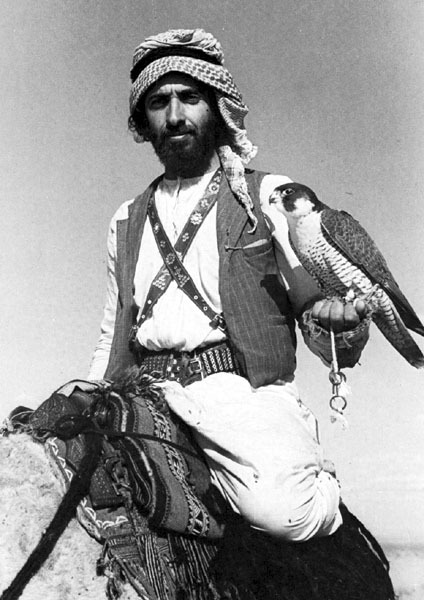 Allen, M. 1982: Falconry in Arabia. Massachusetts. Persian Gulf / Encyclopaedia Britannica 1997. 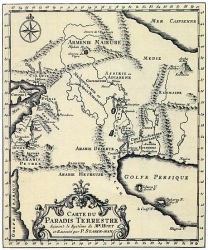 Persian Gulf / Microsoft® Encarta® Encyclopaedia 1993 – 1997. Slot, B. G. 2003: Establishment of Kuwait. Centre for Research and Studies on Kuwait, Kuwait (in Arabic).